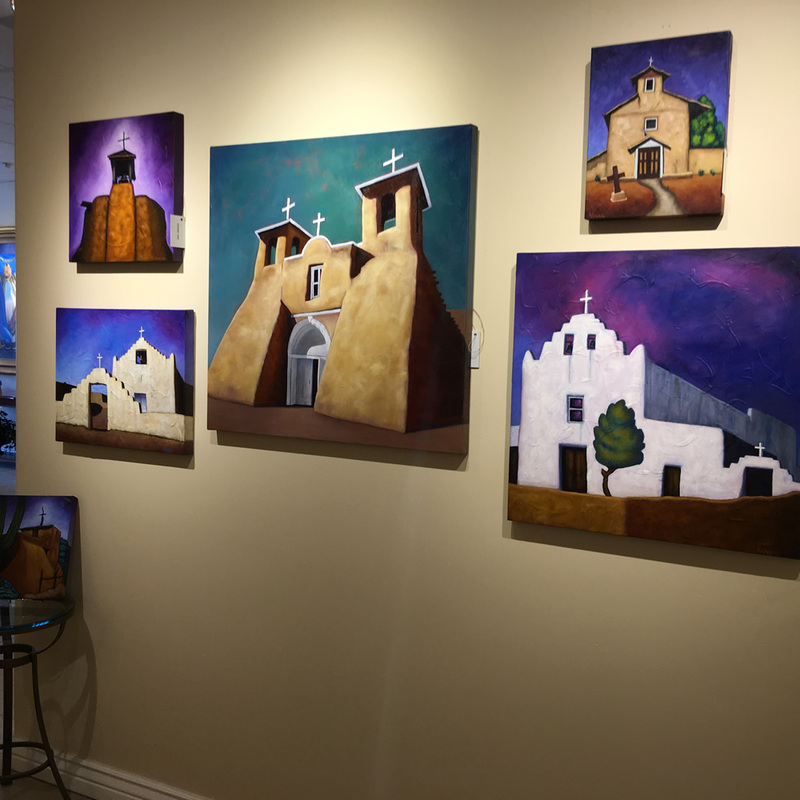 Gallery inquiries are welcome, please contact Bobby. 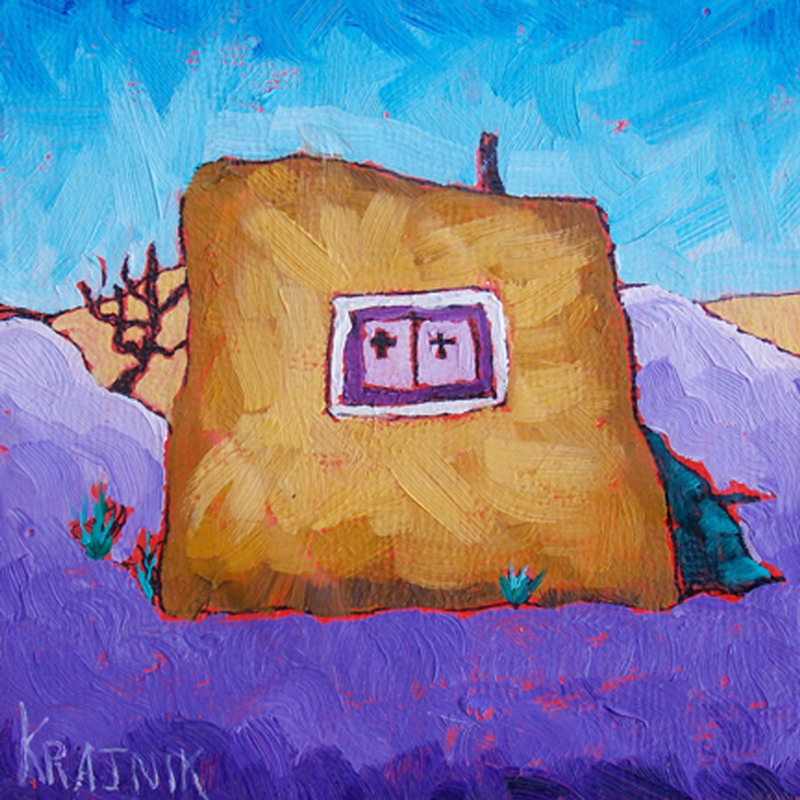 Artist Bobby Lee Krajnik uses a vibrant palette to create delightful yet sophisticated landscapes. 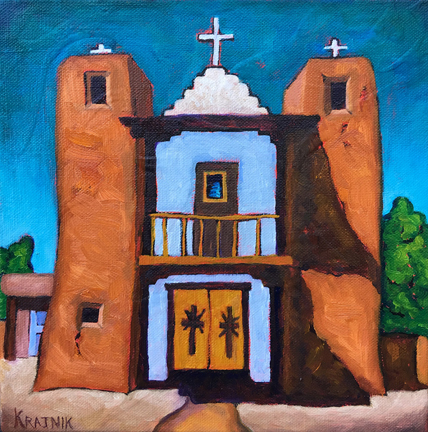 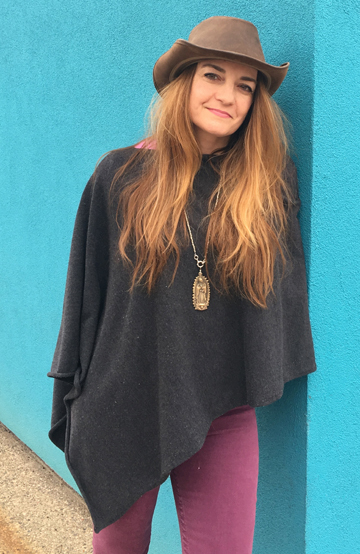 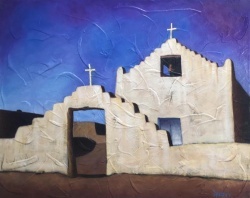 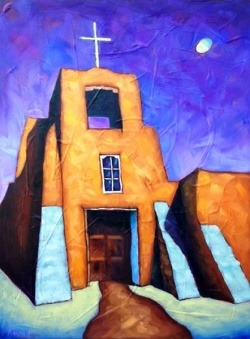 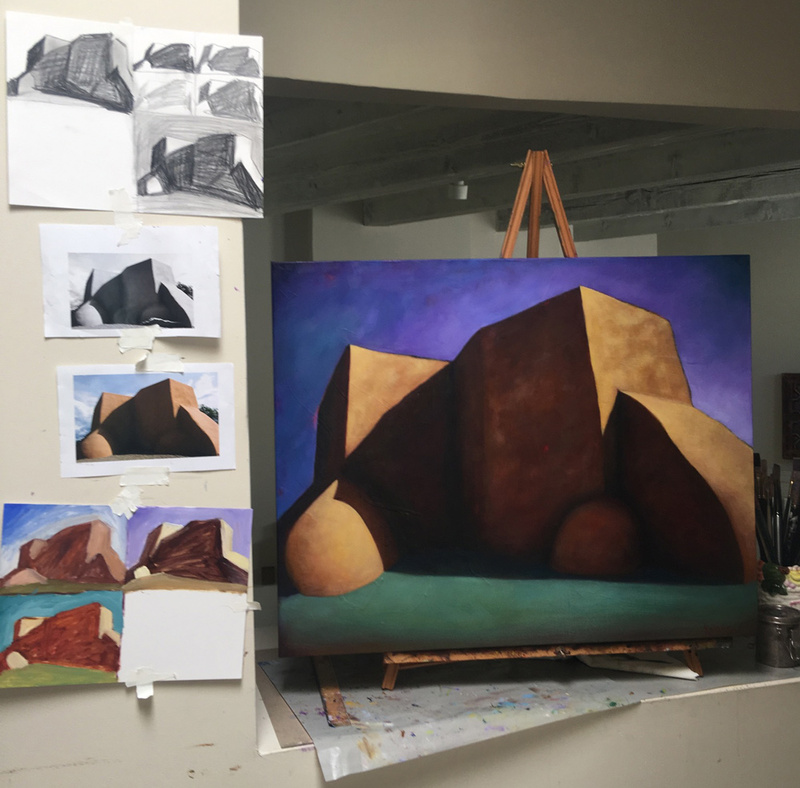 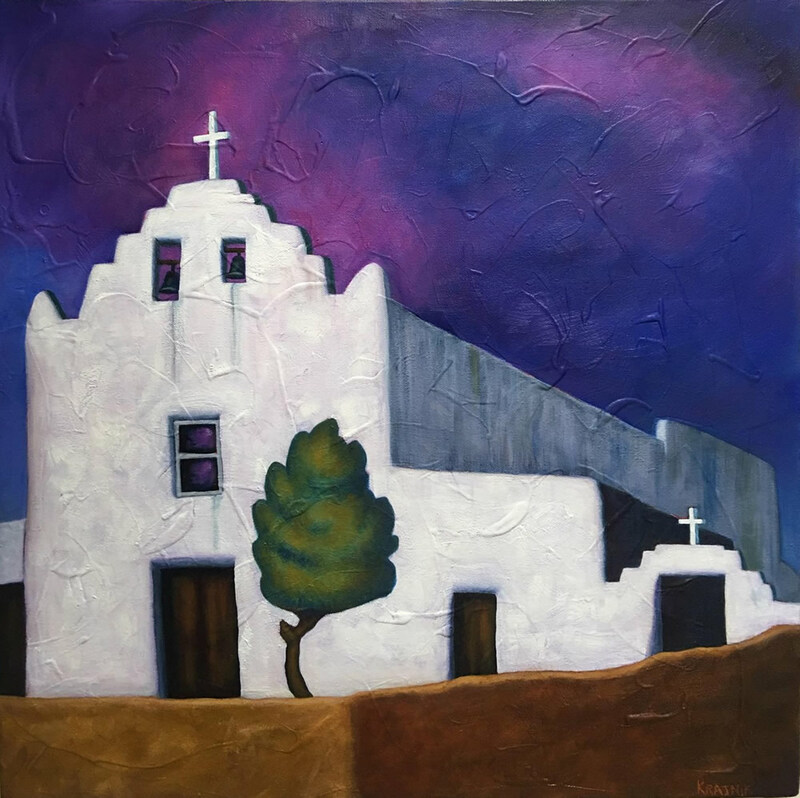 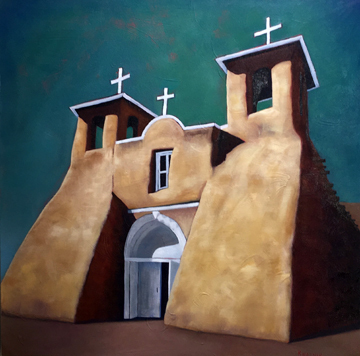 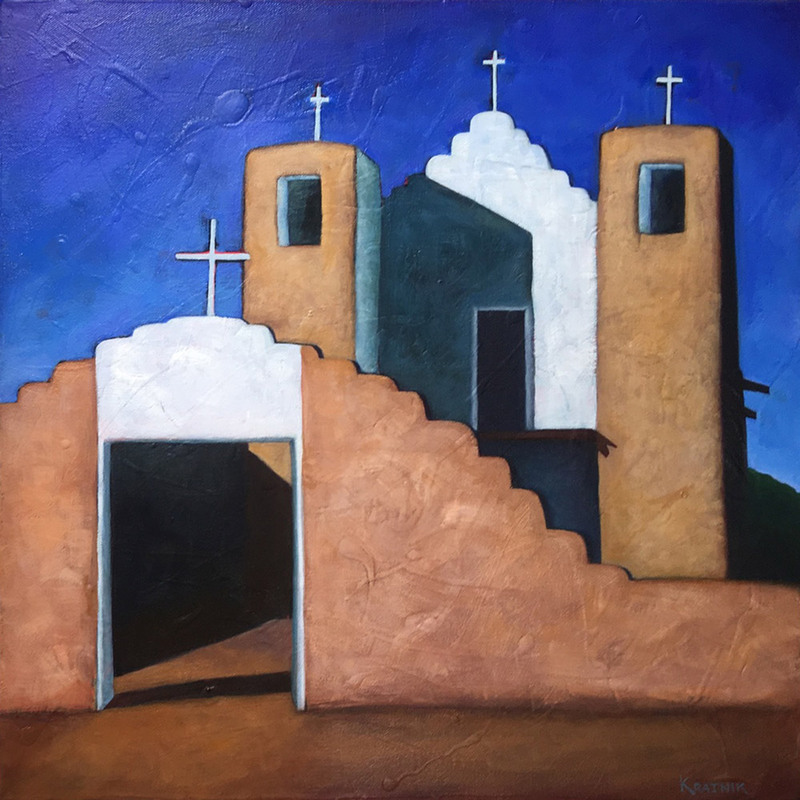 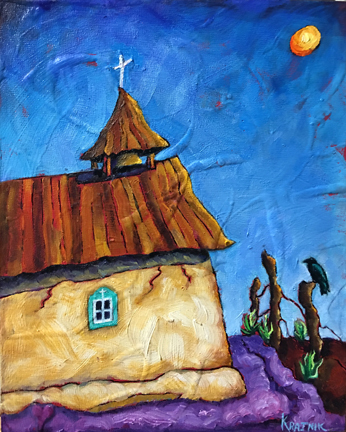 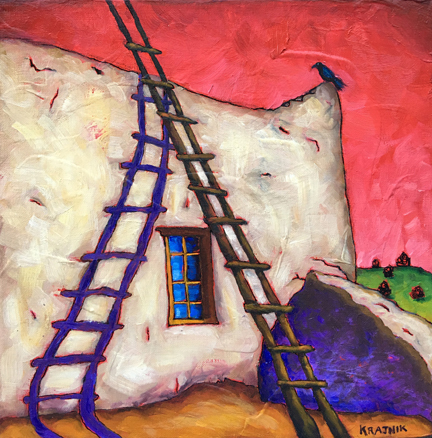 Her paintings are strongly influenced by the rich history of the Southwest and her style is inspired by the colors and handmade aspect of the traditional folk art of Old Mexico. 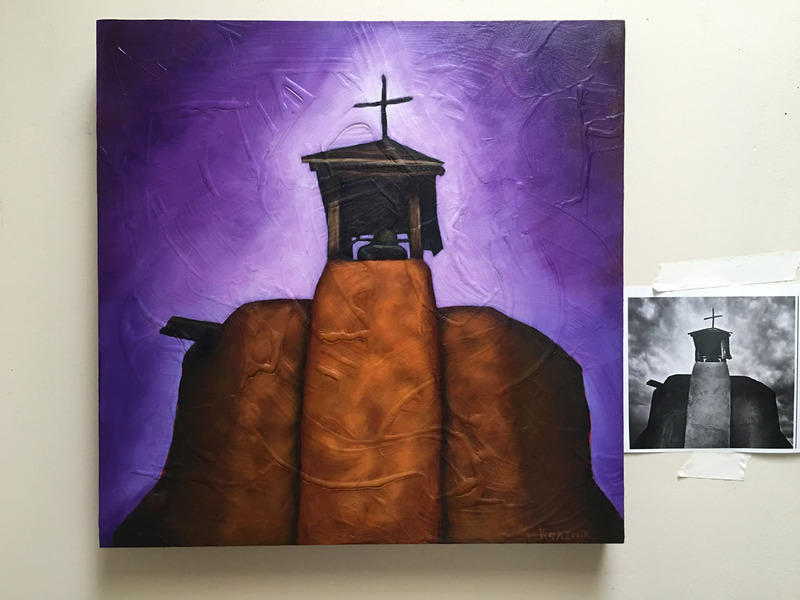 In her “Misiones” paintings she is attempting to portray the hand crafting and human aspect of these unique and sacred buildings that were often the center of community life. 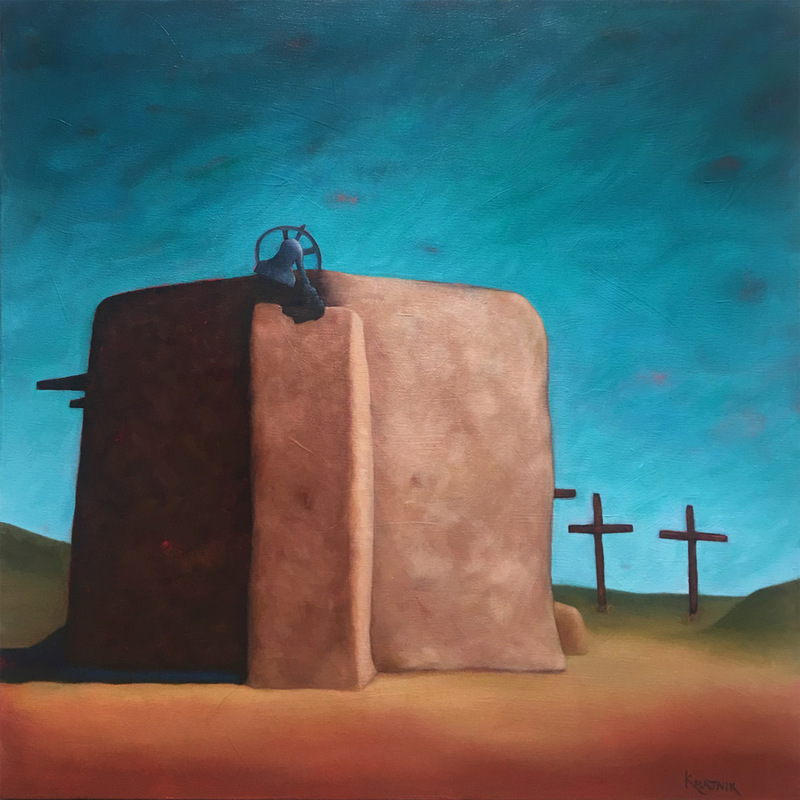 Bobby Lee Krajnik’s work has been shown in galleries in the Southwestern United States and Central Mexico. She has participated in multiple group museum shows, including “Cowgirl Up!” and the “Western Spirit Show” in Cheyenne, Wyoming. 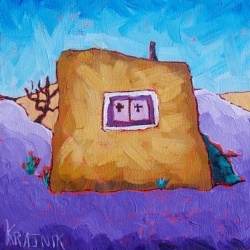 She also regularly participates in the “Mountain Oyster Show” in Tucson, Arizona. 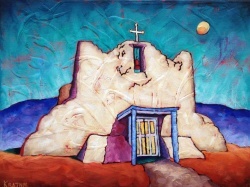 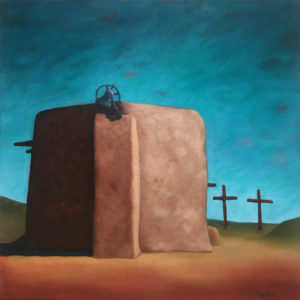 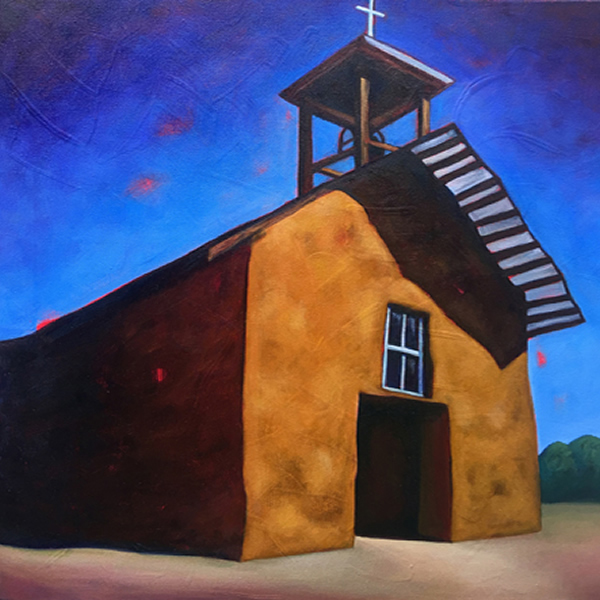 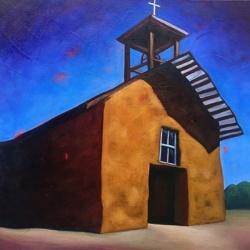 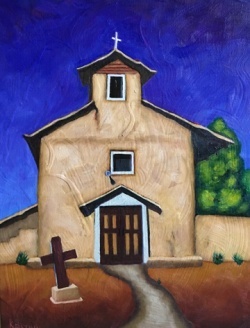 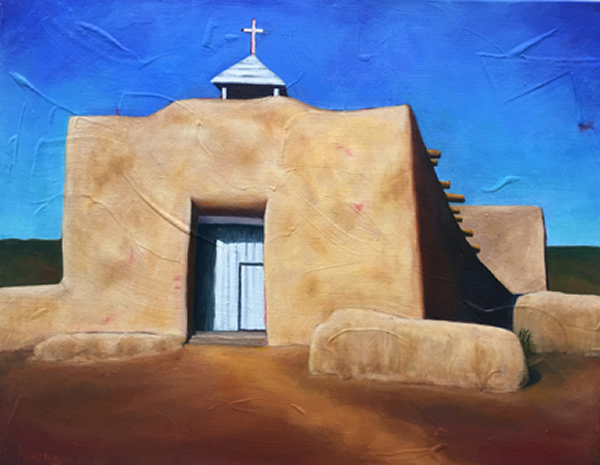 Bobby’s work is currently represented by galleries in Scottsdale and Santa Fe.